The nicest surprise at our December meeting was the return of Ed; great to see him again after so many months. Of course, he also brought a fine assortment of cars, a humble few of which I have pictured here. 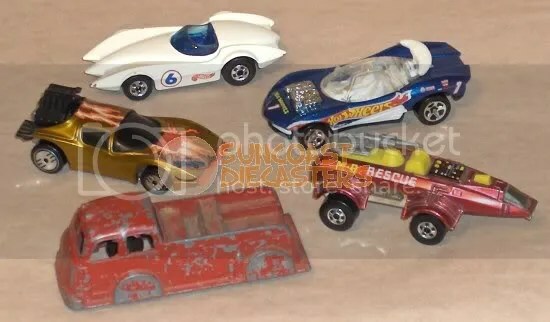 Starting with Spacer Racer, the freakishly futuristic fire engine on the right and proceeding counter-clockwise, we see: Flashfire, all nicely dressed up in “Team Hot Wheels” colors; Second Wind, which is not the Mach 5; Flame Runner, which has its own identity crisis; and coolest of all, and a genuine classic, a TootsieToy fire engine. Another treasure from the Edsortment: Bob Reisner’s Invader. Sweeeeeeet!!! 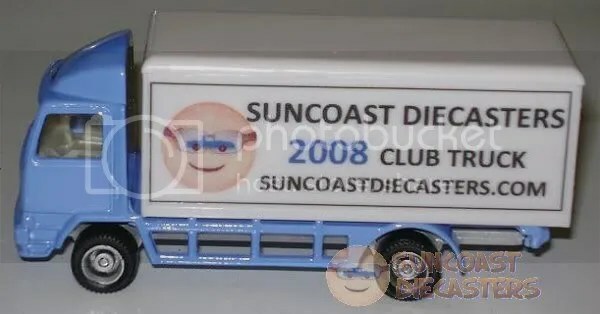 …Especially since it referenced Florida. 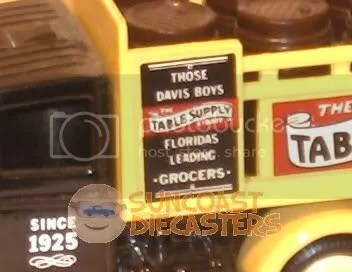 I Googled the brand, and learned that Table Supply is an early name from the history of Winn-Dixie supermarkets — proving that collecting is educational! Speaking of Jim (and I had been), here’s a thing of a different sort from him. 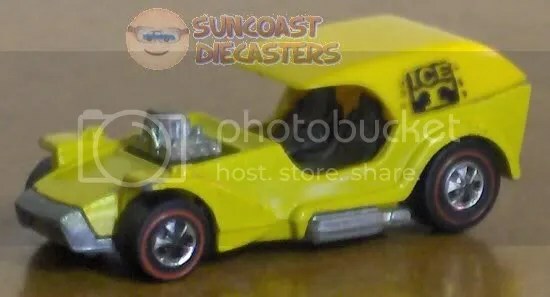 I already had the Matchbox version of the Volkswagen Thing; he provided this groovy Johnny Lightning version (which I hadn’t seen before). I picked it up particularly because I like the “top-up” interpretation by JL. 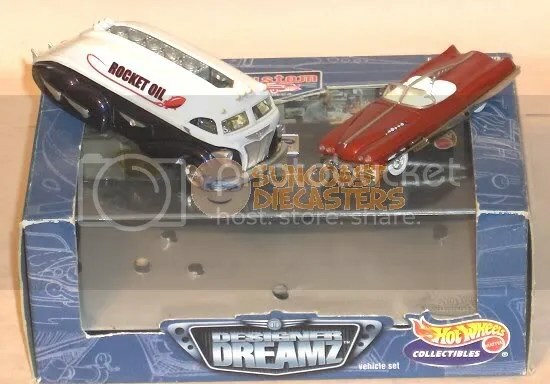 Speaking of Jim (continuing), he sold me this custom “Designer Dreamz” two-pack for, shall we say, an embarrassingly low price. None the less, I suspect some of you are clutching your chests and gasping, “Dude! 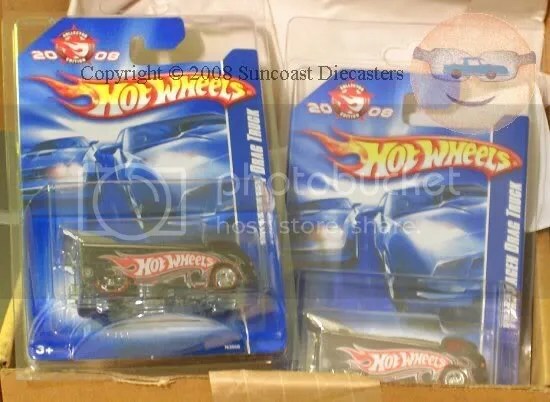 WHY did you take ’em out of the specially-designed custom collector case?!! ?” One, they were already out of the case when I bought ’em, and two, I believe in letting my lovelies get fresh air and run around. Besides … they do tricks! 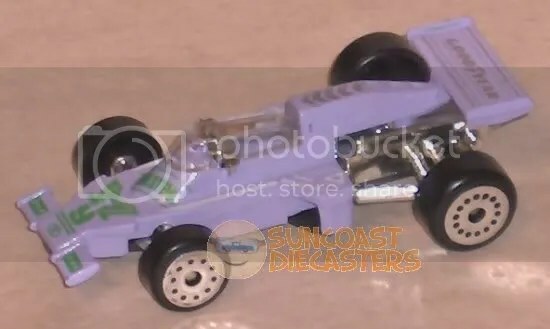 Zee/Zylmex Indy car, courtesy Big Tractor Mike. 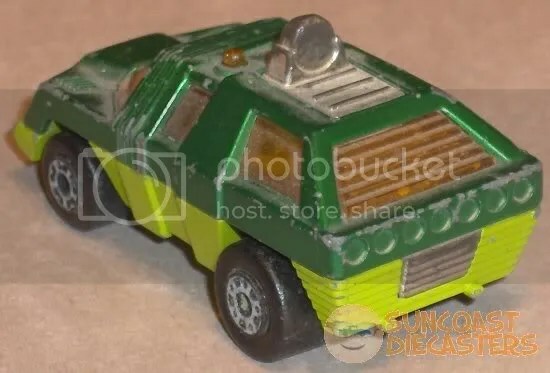 I don’t collect Indy-type cars usually, but the only other Zee I have is the Vandora, so I grabbed this’n (and after all, it is in really nice shape). 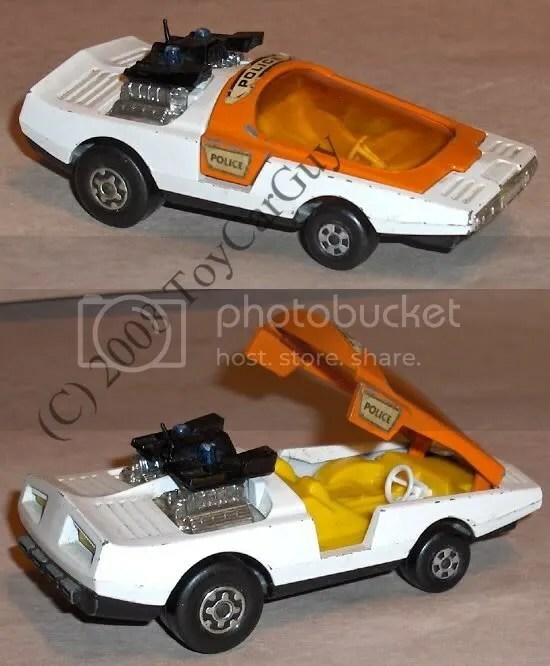 By the way, there’s no model name on the car, just a number, but thanks to Gary’s Cars, I’ve learned it’s known as “70s Indy Racer”, and was probably sold under either the Dyna Wheels or MotorMax name. Yatming Chevrolet Racer. 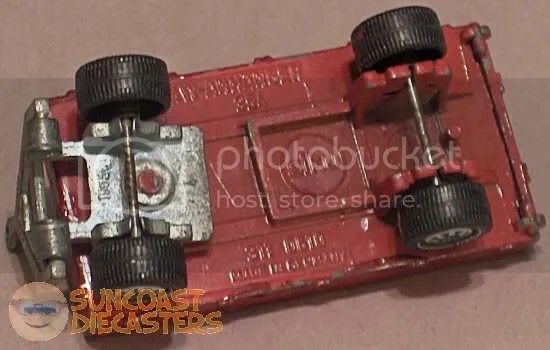 Yeah, I know, seems it ought to have a different name, but that’s what it’s called, “Chevrolet Racer”. 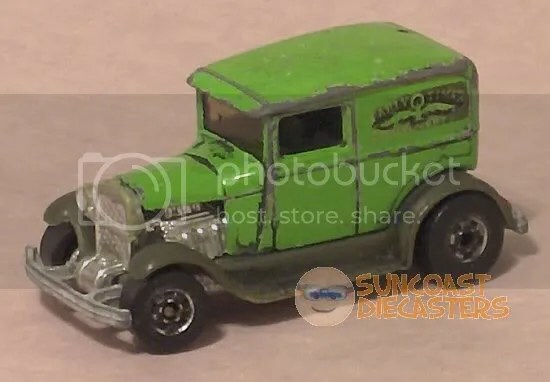 And yeah, it’s in bad shape, but one of the greatest benefits of being a member of Suncoast Diecasters is the development of an appreciation of rarities and classics. Besides, a little paint here or there will fix it right up. You may recall that, back in November, I posted a pic of an A-OK I found at the Zephyrhills Auto Show (and if you don’t recall, scroll down and check it out). Well, the A-OK wasn’t the only car I picked up there. 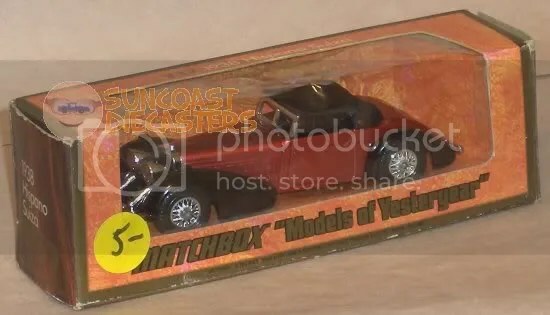 I also found this beautiful Hispano-Suiza, from Matchbox’s Models of Yesteryear series (1:43). I didn’t post it back then because I didn’t want to spoil the surprise at our December meeting — I got it specifically for Big Tractor Mike, a.k.a. “Mr. Matchbox”. And guess what?! — he didn’t want it! So, I’m keepin’ it! Thanks, Mike! ; it’ll look great next to my MoY Duesenberg! 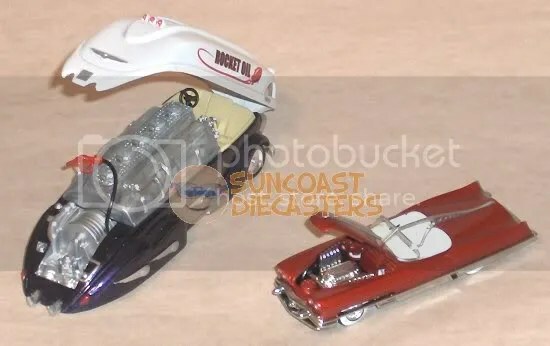 And now, courtesy of Big Tractor Mike, here’s the “Buy of the Month” from our December meeting — not to mention the second biggest purchase I’ve made at a Suncoast Diecasters meeting (after those two original-era Redlines I got from Redline Mike — see March ’08 pics). 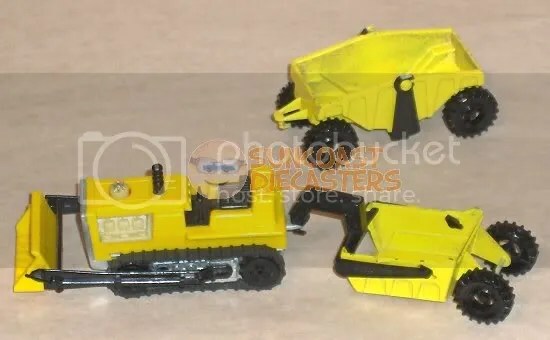 These are the Ground Hog tractor and attachments from Mattel’s incredibly rare Earthshakers line. 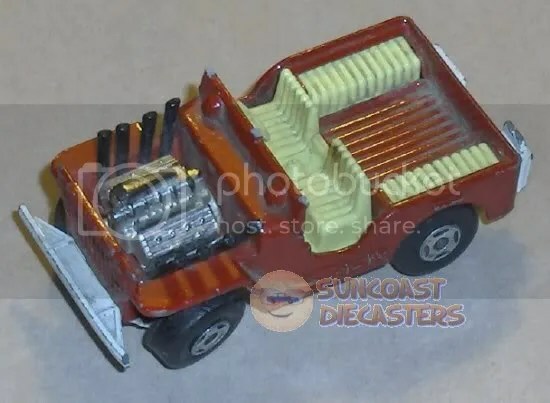 The Earthshakers are descended from Sizzlers, with a small battery-powered motor that drives the tractor, albeit at a much slower pace of course. 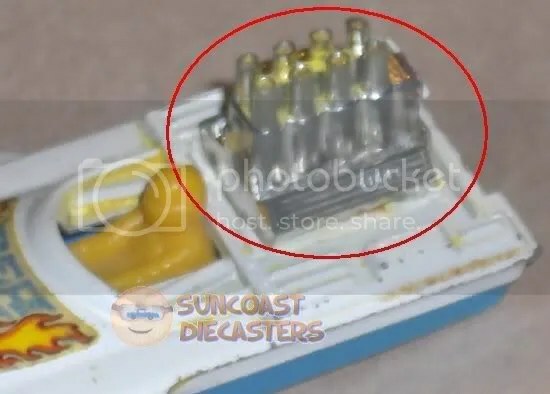 Surprisingly, there isn’t much information online regarding Earthshakers (if you dismiss the auction and “redline guide” hits, that is). 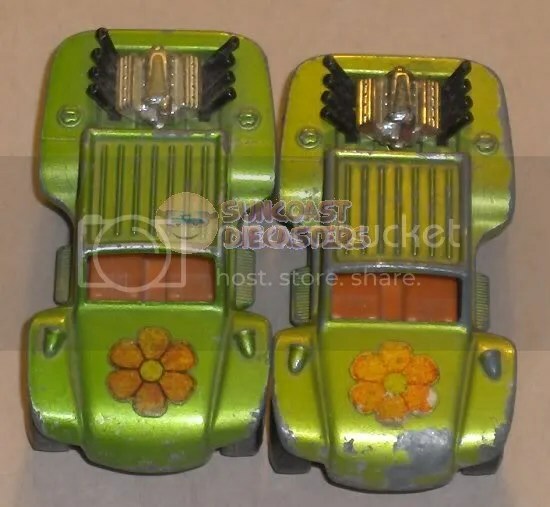 However, Blast from your Past has scans of a ’71 Mattel catalog which features Earthshakers. I’m sure for some of you this is the first time you’ve heard of Earthshakers, and I’m sorry I can’t provide you more info. 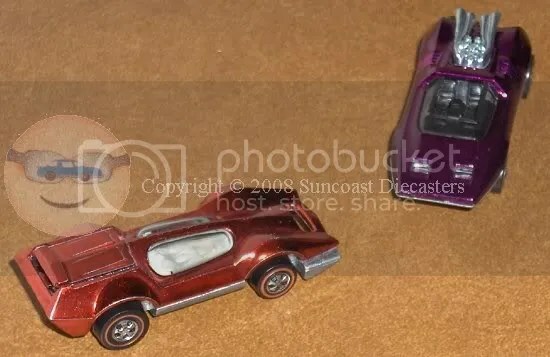 …And finally for our December photos, we close out 2008 with a shot of the 40th Anniversary Purple Passion, the last of the special edition models. 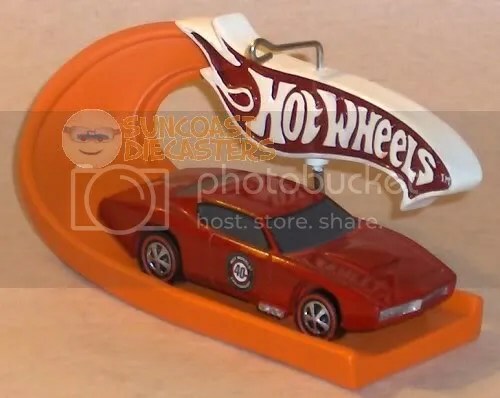 Thanks, Mattel, for 40 wonderful years. Thanks to Harry, Larry, Paul, Ira and everyone else over there who’s been involved in bringing us these wonderful models. It’s been a great ride, guys, and I expect the next 40 years* to be just as entertaining. Serious double-vision in this month’s Gallery update starts with a major shout-out to Jeremy: He used his RLC membership to snag me the Special Edition Batmobile and rockin’ Bye-Focal re-issue (yes, I paid him for them). More double-vision: the beautiful 40th Anniversary Chevy Nomad. Why did I order two? 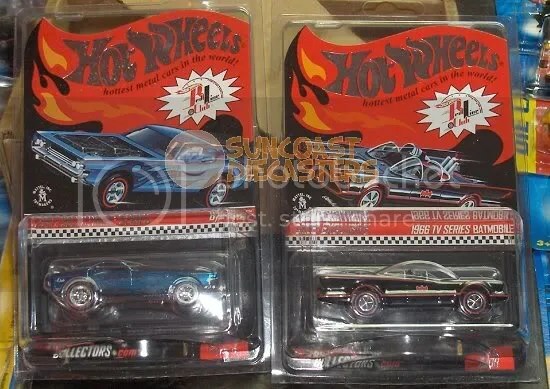 Simple: one to keep pristine for display, and one to make go “Vrooom, vrooom!” with! 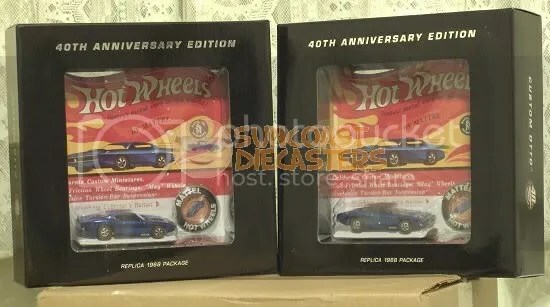 And yet more double-vision: I finally done got me my own RLC membership*, specifically so I could order the 40th Anniversary Custom Otto. Why did I order two? Simple: ’cause I could. A wee bit more double-vision. With these, Jeremy shows that customizing, while certainly needing imagination, does not necessarily require extensive surgery. 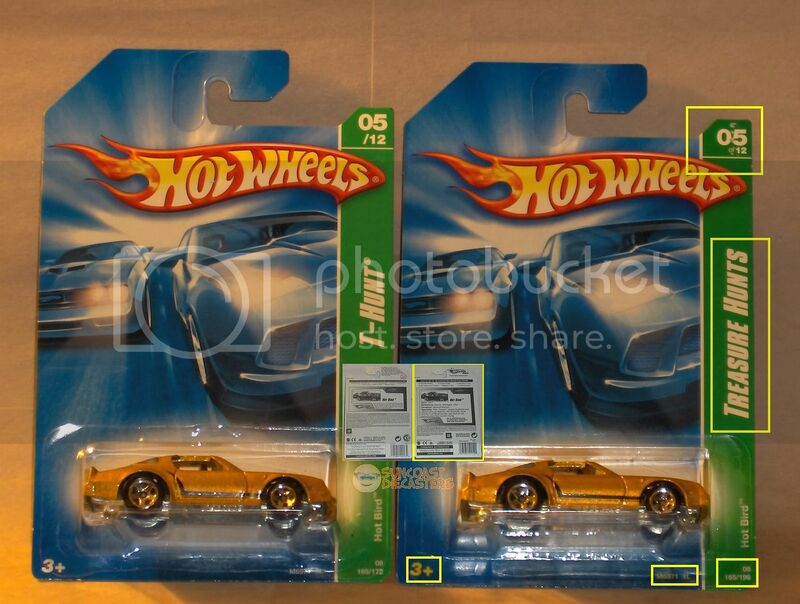 Case in point: The car on the right is the original. 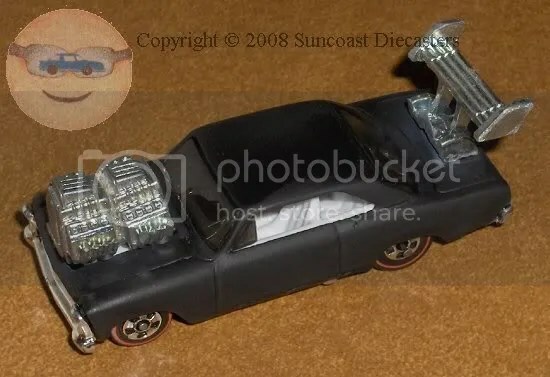 Jeremy simply stripped off the orange tampos, replaced the light gray interior with a dark gray one, and swapped the stock FTEs for some Real Riders. The result — one gorgeous cup of black coffee. 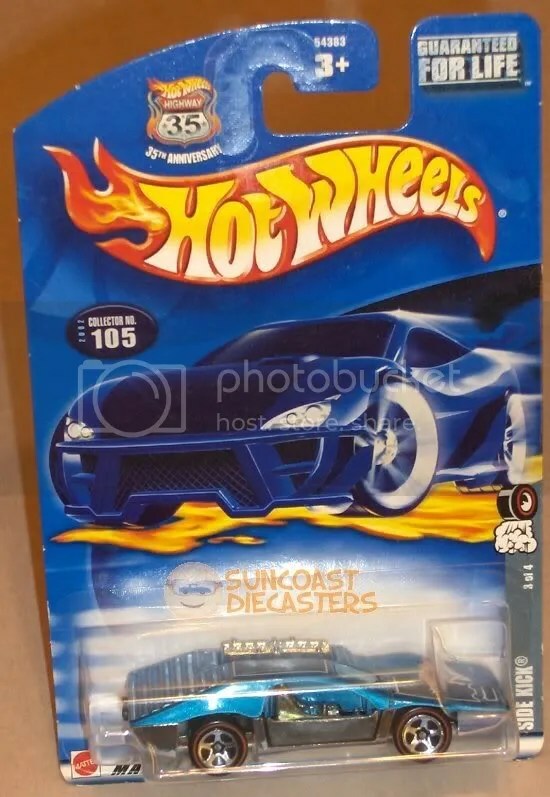 Legend tells of a car which does not exist, never existed except as a haunting blue image on a cardboard backer. 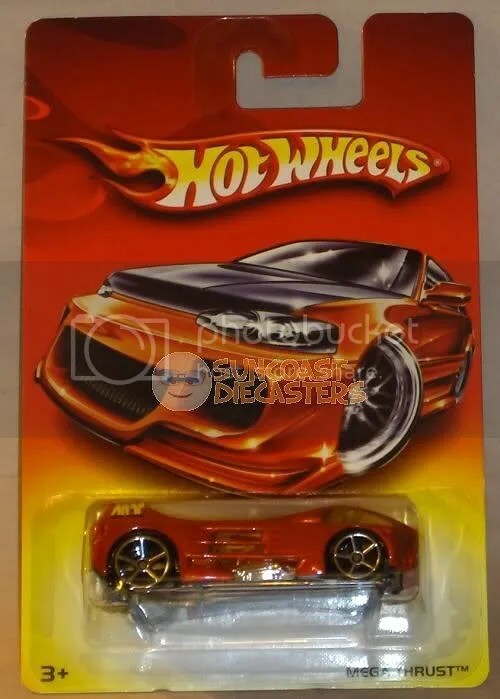 The legend has evolved to include a rumor that this car might in fact be manifest on store pegs one day. 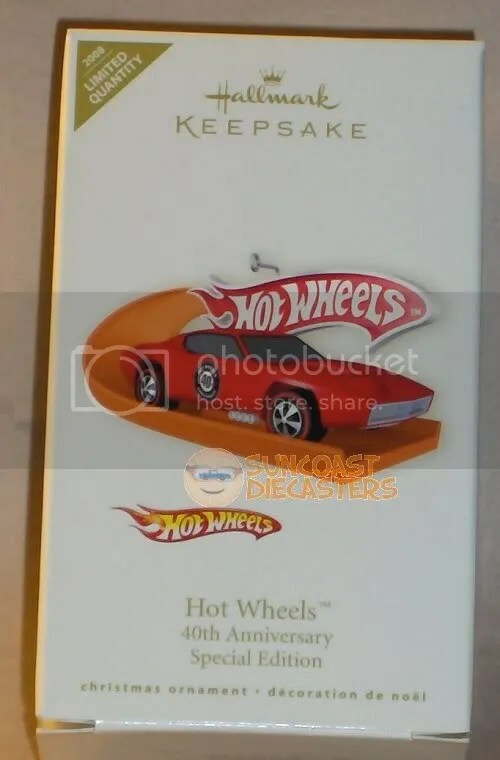 But until that day, you can bop on down to your local Hallmark store and grab you this fine ornament, done up in rich red, and featuring the all-important 40th Anniversary logo. Now, stop drooling and go get you one! Above: Note this one actually says “Mega Thrust”, not “Night Burner”. 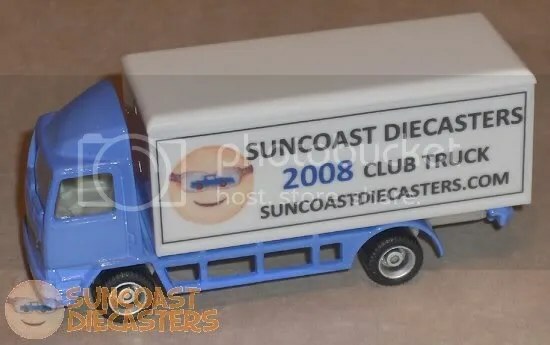 A shout-out to Ken (and a mea culpa from Your Humble Webmaster); Ken sent me this great shot of the ’08 Club Truck, and I completely forgot to use it when I originally posted the Club Truck pics. 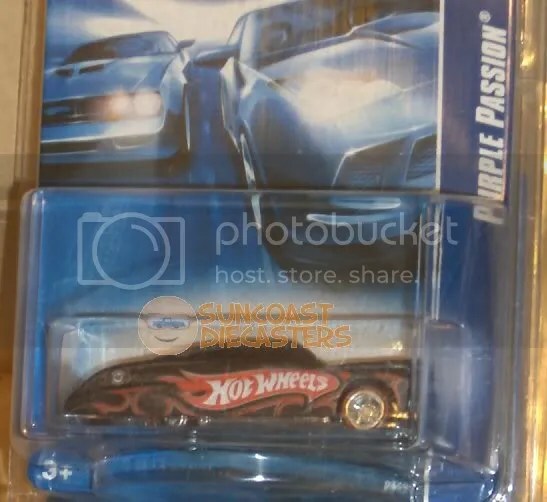 Shout-out to Jeremy #1: He found the mythical Purple Passion Woody …then sold it to me for pretty much the shelf price! 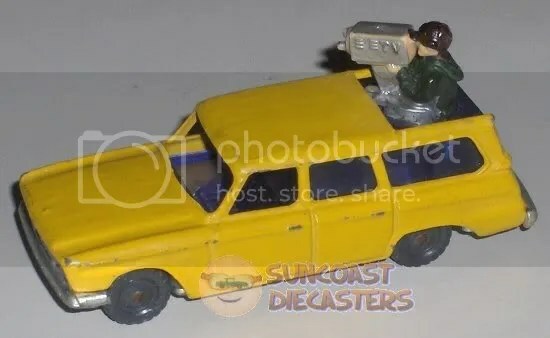 The only minor disappointment, IMHO — and it’s very, very minor — is that the surf board isn’t removable. 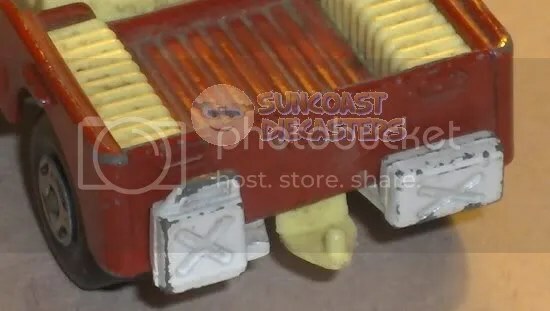 As you can see by the “flanges” underneath, the surf board is actually part of the molded interior. But … who cares!? 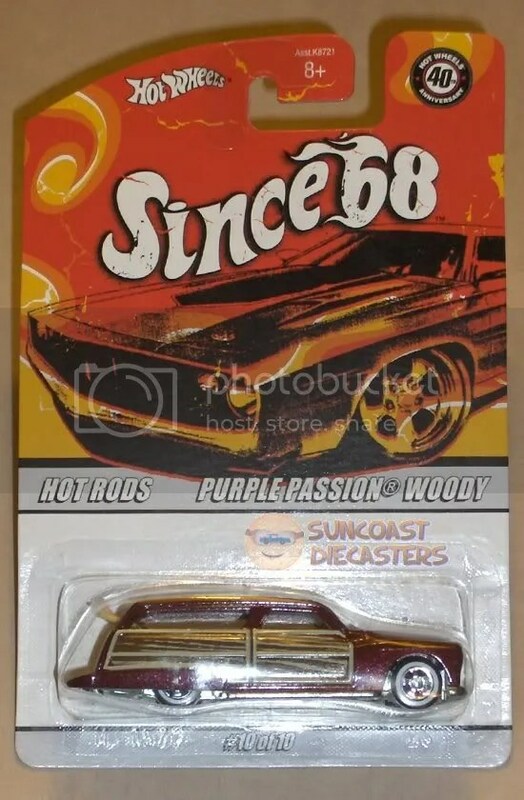 ; I got me a Purple Passion Woody! Woo-hoo! Shout-out to Jeremy #2: While my laptop’s hard drive crash and other events kept me from using June, July and August photos in a timely manner, I simply had to post this one. This was originally the white-on-blue “Since ’68” version. Our young Krown Prince o’ Kustoms dunked it in dye, hoping for a solid black result. I told him this charcoal-on-indigo result is really quite beautiful. Yatming Kenworth tractor-trailer, purchased from Big Tractor Mike for a very reasonable price. While the “Big K” obviously refers to Kenworth, I find it ironic that it’s not too far off from “Big K-Mart”. 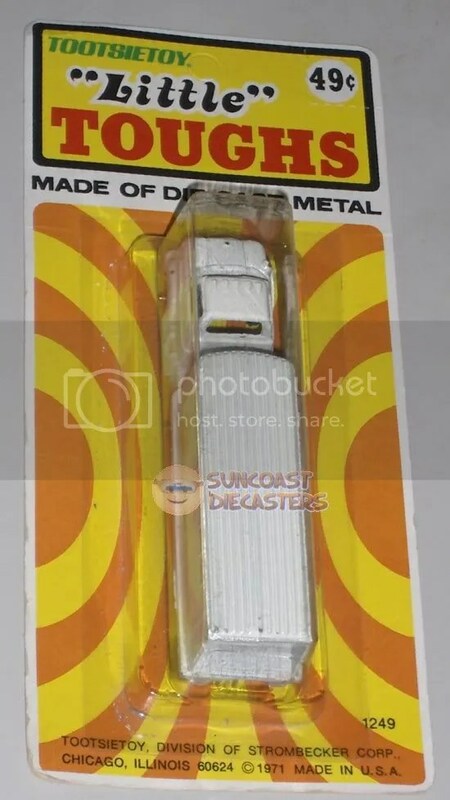 …And speaking of old trucks and old stores, here’s another photo from the Precrashian Era: a classic Tootsie Toy, still in the package, with its original price tear-out not torn out, and its hanger punch-out not punched out. An excellent find. And with that, I’ll give a big shout-out to Big Tractor Mike. 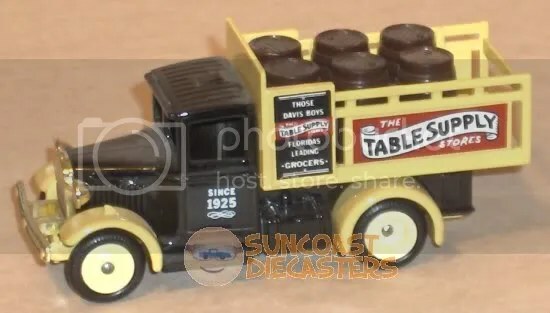 I originally presumed that Turnstyle was just a name made up for the label; however, BTM explained that this truck was from a series for particular stores. That made it even more interesting! 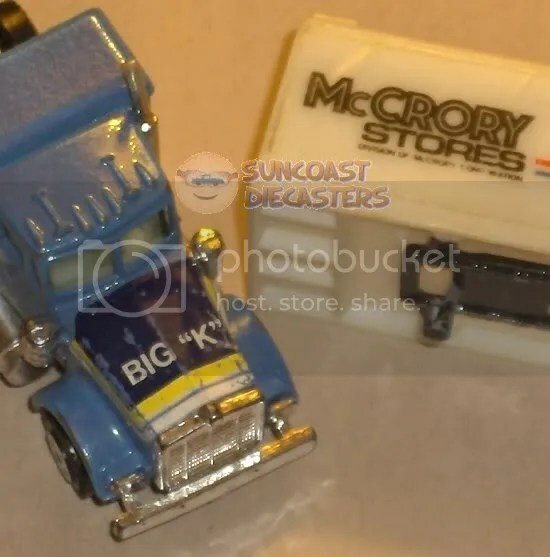 I did an online search for Turnstyle, and found a few articles about the store’s history and, like McCrory’s, its eventual demise. 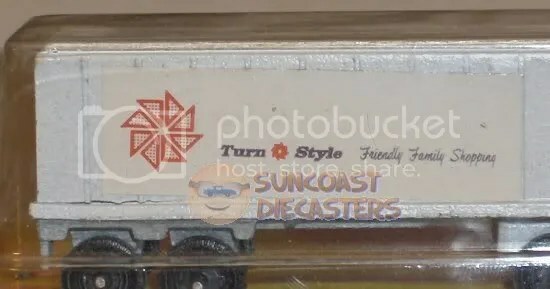 For those of you who remember Turnstyle, I hope this fondly rekindles those memories for you. 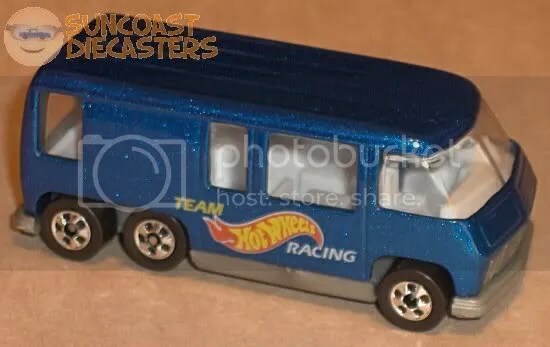 PlayArt fuel truck. 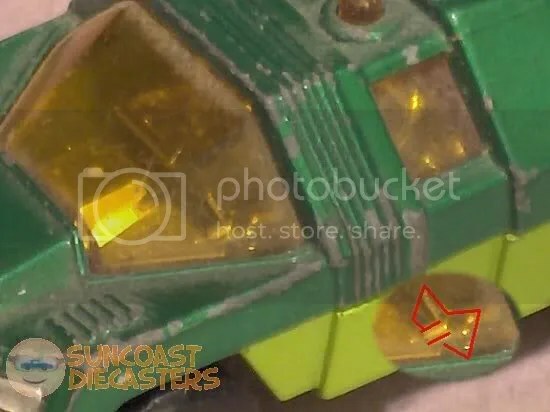 The cab is somewhat reminiscent of Hot Wheels’ Heavyweights series, no? 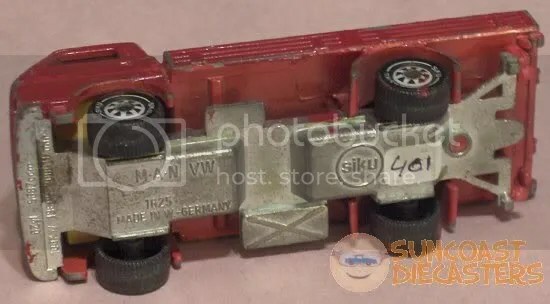 And this thing is heavy — I mean, on the order of “VW Drag Truck” heavy! Also, can you make out the old Esso logo on the side? For you youngsters, that’s what Exxon used to be before it became Exxon, before it became Exxon-Mobil. 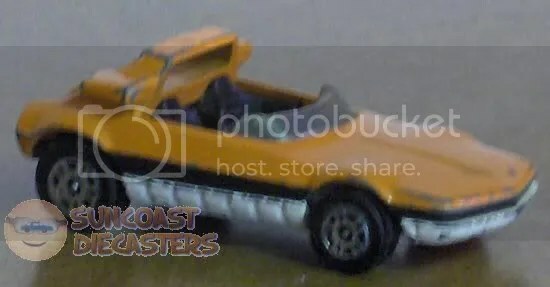 Matchbox Jeep hot rod. 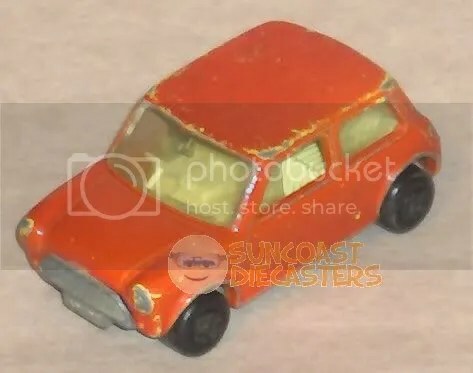 Yeah, it’s missing the windshield frame, but it’s still a classic Matchbox, and I’m happy to have it! Such as, perhaps… THIS one?! 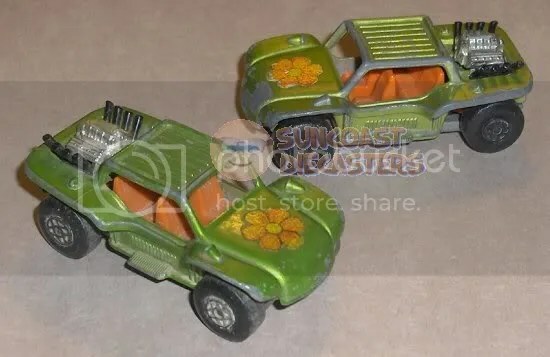 Two more Matchbox classics, the Baja Buggy. A distinctly non-gruesome twosome. Note the differences in color. 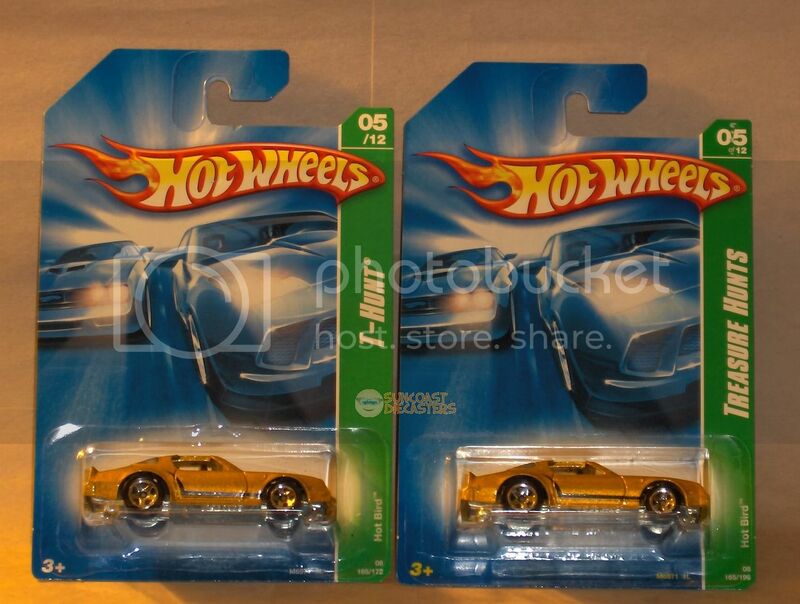 Possibly the one on the right is just sun-bleached, but the exposed interiors of both still hold a good orange color. I’m thinkin’ it’s genuinely a variation. 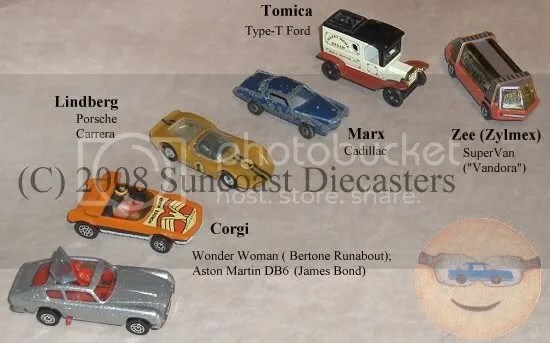 So, you see, folks, you gotta stop by a Suncoast Diecasters meeting: we not only have rare classics — we got variations of ’em! 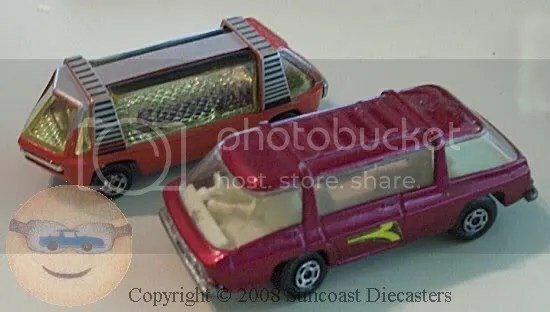 Aside from the beautiful, pristine Turnstyle truck above, this is IMHO the coolest recent find at a Suncoast Diecasters meeting: the Husky Studebaker Wagonaire. 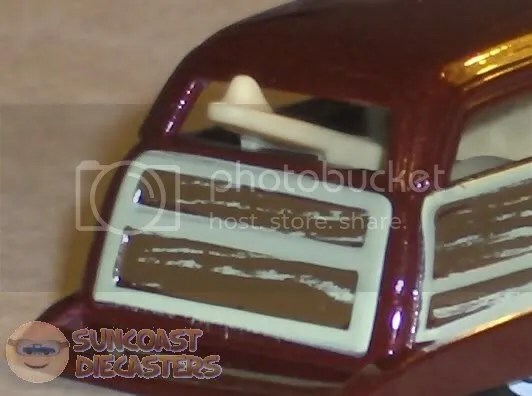 Man, I didn’t know Studebaker even offered a wagon! And, it’s not just a wagon — it’s a TV news vehicle! 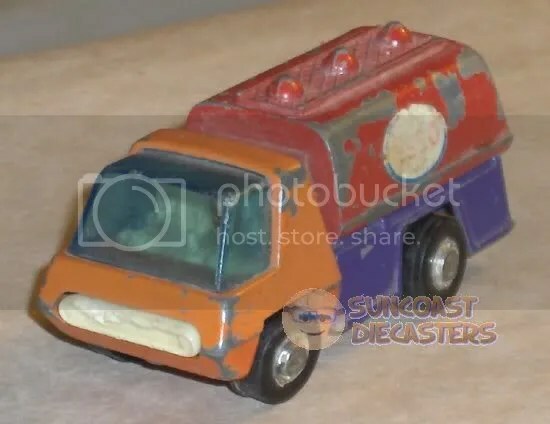 I have three or so versions of the ubiquitous “TV news van”; this, in contrast, is seriously cool. 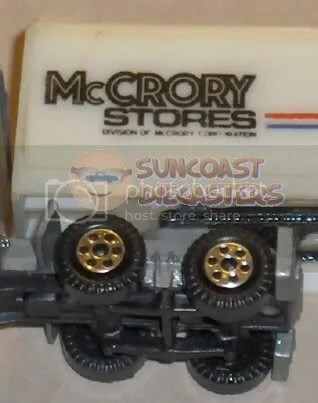 Long-time collectors will recognize the classic “grey knobbies” and the “chrome” (plastic) base. And note that, unlike modern toy cars, this one was made in the mythical land of Gt. Britain. 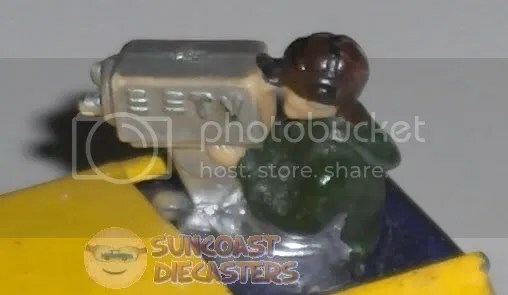 Check out the details: cooling vents on the camera body; multiple lenses on the faceplate; the operator is wearing headphones over his hat; and the extra material on the back of his shirt indicates that he’s wearing what today is called a “hoodie”. One very nicely done miniature. 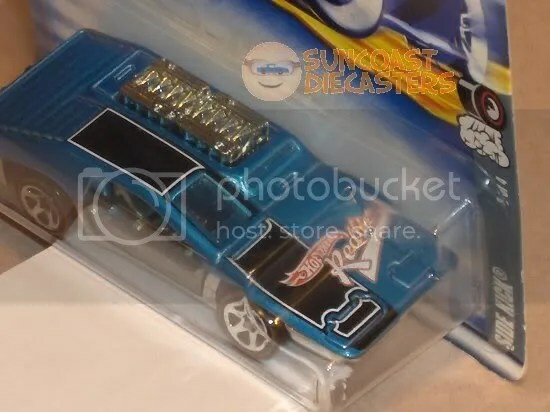 “Redlines”-series Side Kick re-issue, courtesy Bill, in excellent MOC condition. 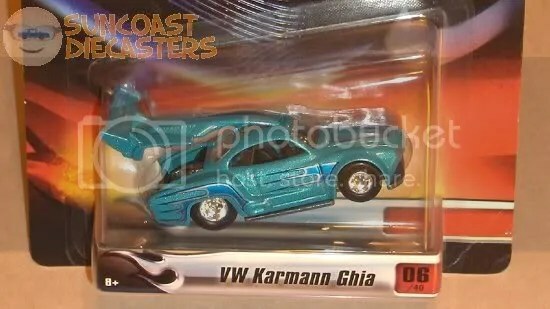 Ultra Hots Karmann Ghia, courtesy Jeremy. Motorhome in really fine shape. Now here’s a shot you don’t see often! 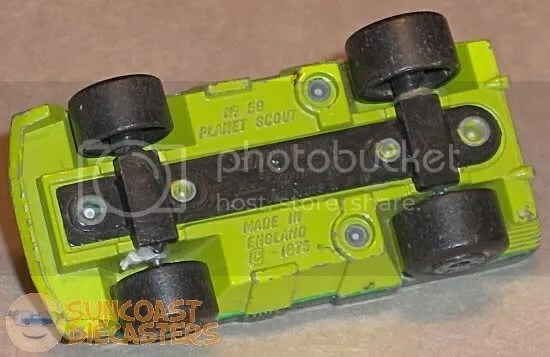 Matchbox classic Planet Scout, courtesy Bill. 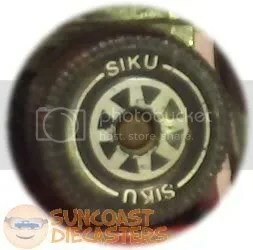 steering wheel (outlined in inset). More customs! Our young Jeremy is becoming the Krown Prince o’ Kustoms! 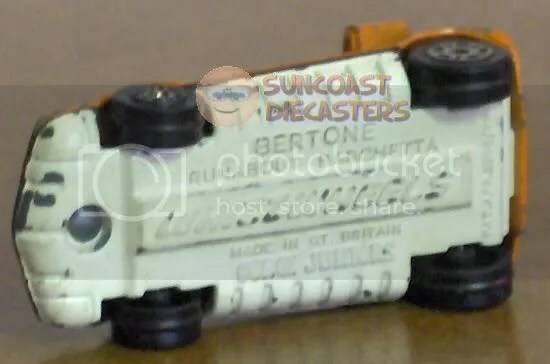 Believe it or not, Big Tractor Mike found another Bertone Runabout! Unlike the “Wonder Woman” version earlier, this one actually carries the correct name. 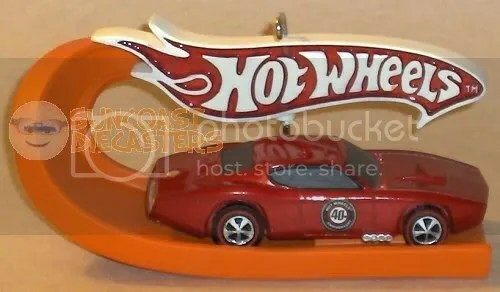 Note that this one also features the WhizzWheels mark … and is made in some place called Gt. Britain. 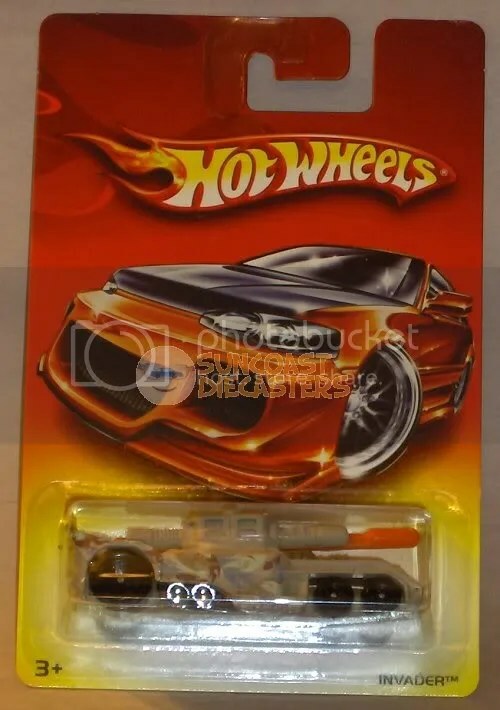 A true Hot Wheels classic — Tom Daniel’s Ice-T. Thanks, Bill! 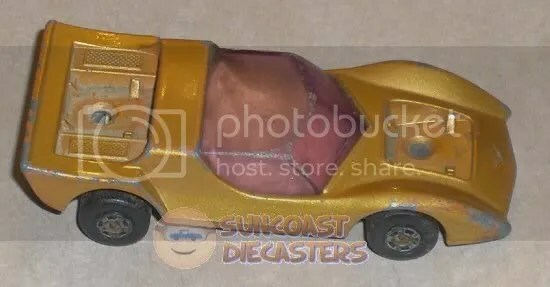 The model is in great shape, considering its age. 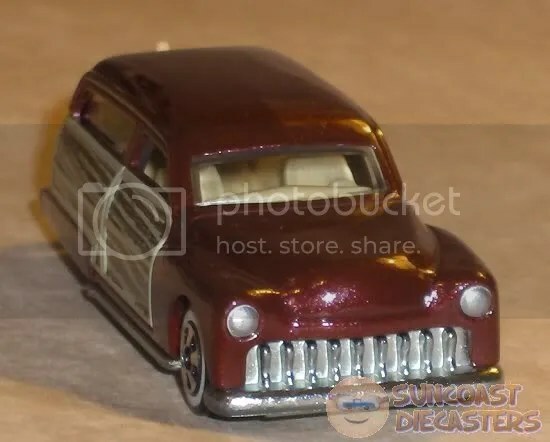 What is the base model of the custom? 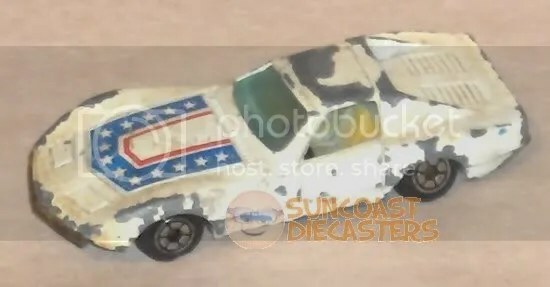 From what other models were the add-on parts taken? The two engines were from two dragsters; the spoiler was from a Hot Tub. 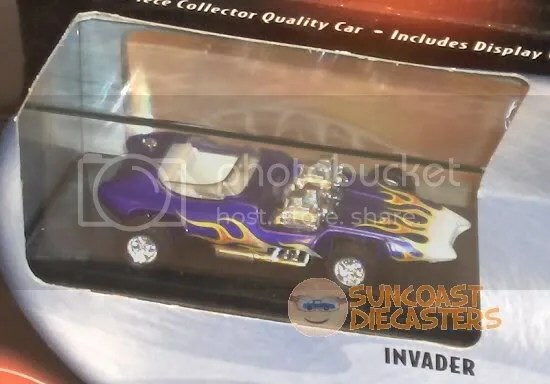 Did you give it an original name, or do you simply refer to it as “Customized Nova”? I don’t really have a name for it; I guess Customized Nova is good. What did you find to be the easiest step in making this custom? ; …the most challenging step? The easiest was putting it together. The hardest part was cutting the right sized hole in the hood. Tyre Fryer & Soopa Coopa (Matchbox), courtesy Big Tractor Mike. These are in great shape, considering they’re over 30 years old! 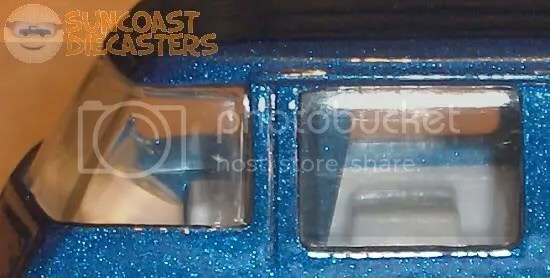 Bugeye & Peeping Bomb (Hot Wheels), courtesy Redline Mike. 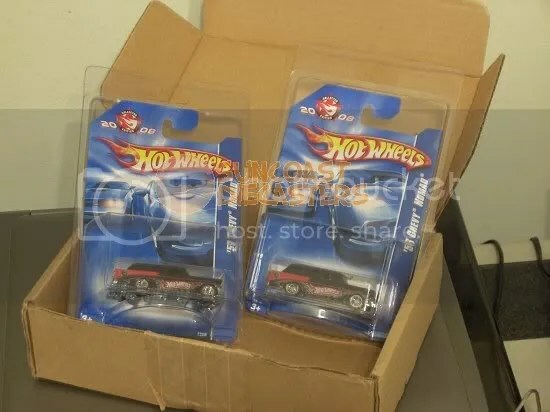 Yes, these are original “Redline era” models, in excellent condition, including operational headlight covers on the Bomb. 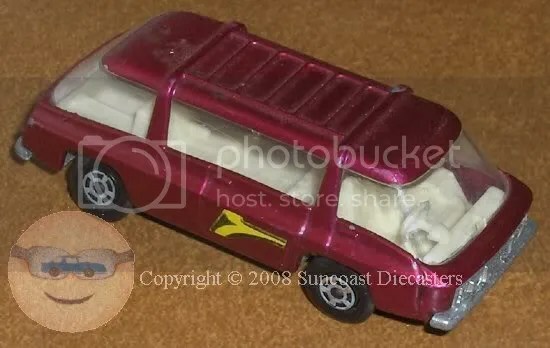 According to George Barris’ website, Super van is based on the Dodge Sportsman van, so there’s no relation despite the similarity. Moreover, this book says the Commuter was a only a concept vehicle, and never a production model. I’ve contacted the Clarence Henry Coach Company for more info about the Commuter. See what happens when you don’t visit us? You miss out on great stuff like this! 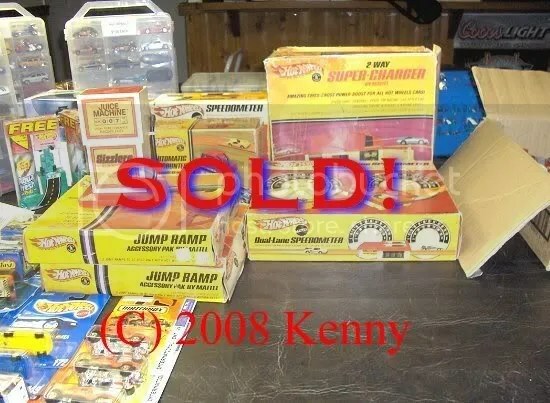 All, yes, all of Kenny’s fine yellow boxes – and their contents! – were snapped up by Big Tractor Mike in one fell swoop . You gotta get here to get the stuff! Unfortunately, no-one brought a camera to the January meeting, so there’s no pics of the many great finds and trades that took place. 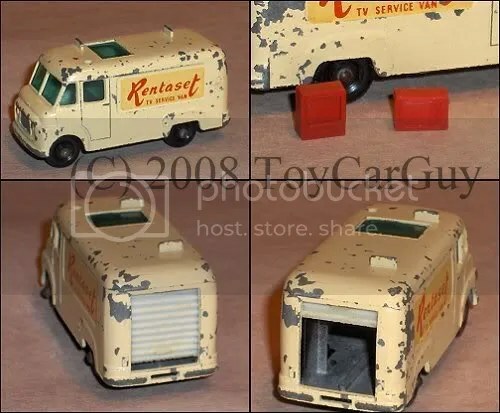 However, ToyCarGuy did snap his own shots of the Matchbox TV service van he bought from Big Tractor Mike. The “roll up” door still works, and BTM even had two of the original TVs. TCG bought this for sentimental reasons: his father, who passed away about twenty years ago, had his own TV service shop and van. Our club does primarily focus on 1/64th-scale models; however, a fair number of larger-scale models are available as well. 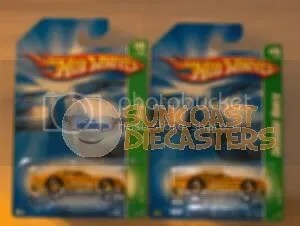 Here’s two shots of the large Matchbox “Speed Kings”-series Bandolero that I bought from BTM. 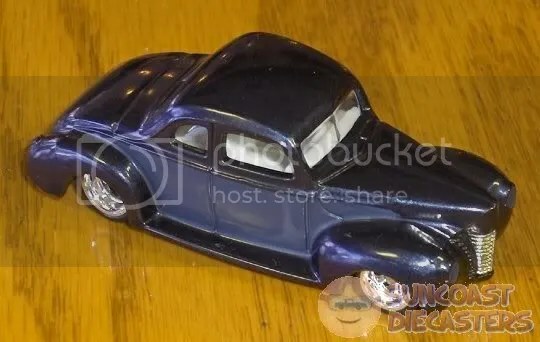 Apparently, this “police version” of the ‘Lero is rather rare; I did some online research to learn more about the model, but all the hits referenced only a blue “civilian” version with different engine detailing. 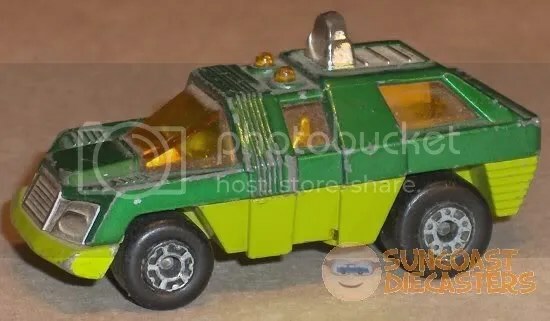 UPDATE: This is actually the model named “Fuzz Buggy” (ya’know, fuzz, as in police). I had a difficult time ID’ing it because Bandolero is the name on the base. Trivia: the base number is K-36/41, meaning this base is designated for either model.